We've taken the classic, double-breasted Reefer style and brought it bang up to date with a modern cut and contemporary details. 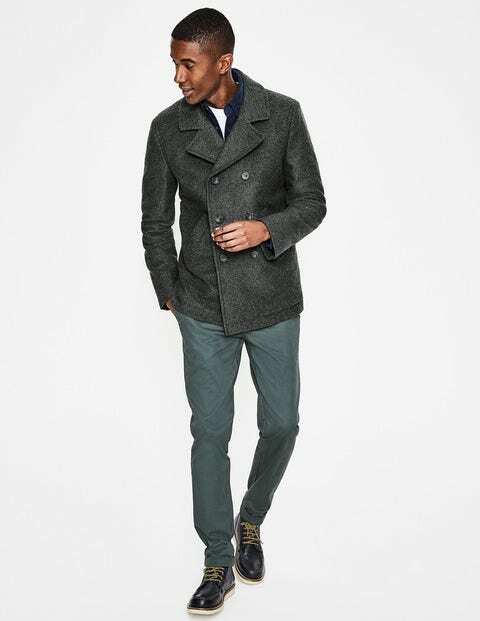 It has a comfortable fit, so it can easily be worn over a chunky jumper or a suit, and is crafted from Melton wool to keep the chill out. We've put plush quilting inside the body and sleeves, and added plenty of pockets (inside and out).